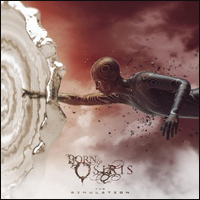 I am reluctantly giving 3 stars to The Simulation the new release by Born of Osiris when in fact it’s just okay overall. They provide their usual high level of musicianship (the reason for 3 stars as opposed to less), but the songs lack any real teeth, and are not memorable in the least. Additionally, it goes by in a flash. The album is short, very short. Only clocking about 20 minutes over “eight” songs. (It’s really only seven as “Recursion” is a 50 second instrumental intro to “Analogs in a Cell”). In many ways the album is ultimately one song—one that’s musically repetitive and formulaic.